Mamatha T S Post Graduate Scholar, Department of Shalya Tantra, Sri Kalabyraveshwara Swamy Ayurvedic Medical College, Hospital & Research Centre, Bangalore, Karnataka, INDIA. Shankar S. Swamy Assistant Professor, Department of Shalya Tantra, Sri Kalabyraveshwara Swamy Ayurvedic Medical College, Hospital & Research Centre, Bangalore, Karnataka, INDIA. S. V. Shailaja Professor & HOD, Department of Shalya Tantra, Sri Kalabyraveshwara Swamy Ayurvedic Medical College, Hospital & Research Centre, Bangalore, Karnataka, INDIA. Acharya Sushruta and Charaka, described Vrikka Vidradhi under Abhyantara Vidradhi, Vrikka Vidradhi is also mentioned and reflect the symptom of Parshva Sankocha, and it can be correlated with Renal abscess. Renal Abscess is a collection of pus around kidney. Renal abscess is an uncommon disease caused by trauma and infection associated with kidney stone. Renal abscess is caused by infection with enteric gram-negative bacilli, Staphylococcus aureus is the etiologic agent in 90% of cortical abscess cases. Renal abscesses most commonly occur in individuals with diabetes mellitus with or without urinary tract obstruction. Common symptoms in patients with renal corticomedullary abscess include fever, chills, nausea / vomiting and flank or abdominal pain. Percutaneous drainage plus parenteral antibiotics is indicated as the initial treatment for abscesses 3-5cm in size. In cases that involve perirenal abscess or infected urinoma, also place a percutaneous perirenal drain. Hence an attempt is made to understand Vrikka Vidhradi in relation to renal abscess. S, Mamatha T; SWAMY, Shankar S.; SHAILAJA, S. V.. UNDERSTANDING OF VRIKKA VIDRADHI W.S.R. TO RENAL ABSCESS. 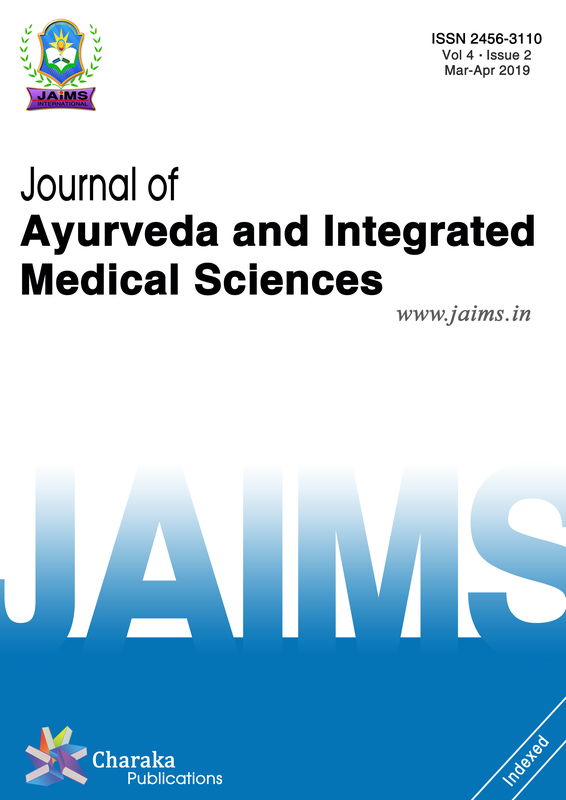 Journal of Ayurveda and Integrated Medical Sciences (ISSN 2456-3110), http://www.jaims.in/index.php/jaims/pages/view/Citation, v. 3, n. 5, p. 141 - 145, sep. 2018. ISSN 2456-3110. Available at: <https://jaims.in/index.php/jaims/article/view/668>. Date accessed: 25 apr. 2019. doi: https://doi.org/10.21760/jaims.v3i5.13832.